For just about everyone, prior to any marriage the two individuals have been dating for a period of time. Some may date for several years while others may only date several months before becoming married. When one party files for divorce the next question is how to divide the assets which were obtained during the marriage. 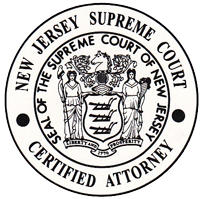 In Thieme v. Aucoin-Thieme the New Jersey Supreme Court addressed the issue of whether an ex-wife should receive equitable distribution of assets in a divorce based on the 14-month marriage to her ex-husband, or the eight years they lived together before getting married plus the duration of the marriage. The defendant, wife, is requesting that the NJ Supreme Court overturn both the Superior Court and Appellate Division rulings that said equitable distribution should be based solely on the relatively brief marriage, rather the entire length of time they lived together as a couple. 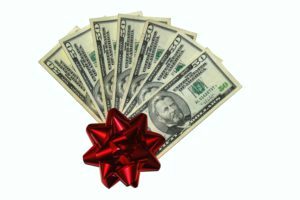 The Wife believes she is entitled to $200,029 instead of the $30,228 she actually was awarded by the Hudson County Superior Court Judge, from a $2.25 million one-time bonus the wife’s ex-husband, plaintiff, received three (3) months after the divorce. The bonus the husband received was for work he put into a company during the period of cohabitation/dating. The Appellate Division noted that the Wife often belittled the Husband about his job and her deliberate attempts to undermine his employment. The Wife’s attorney argued that she should have been awarded a large share of the bonus because of the work she put into the relationship before the marriage, and for their daughter, who was born while they were cohabitating/dating. The NJ Supreme Court heard oral argument on September 26, 2016, and we await its decision. This ruling could have a major effect on all matrimonial cases. Many assets, but not all, are not subject to equitable distribution if they were obtained prior to marriage or subsequent to the Judgment of Divorce. Matrimonial Law is ever evolving and proceeding without an attorney or uninformed could lead to unfavorable results. Contact the attorneys at Gale & Laughlin to discuss any questions you have and what assets, if any, are subject to equitable distribution. THE COURT SAID I CAN EARN WHAT?! Click here to view the areas Gale & Laughlin Attorneys At Law serves.